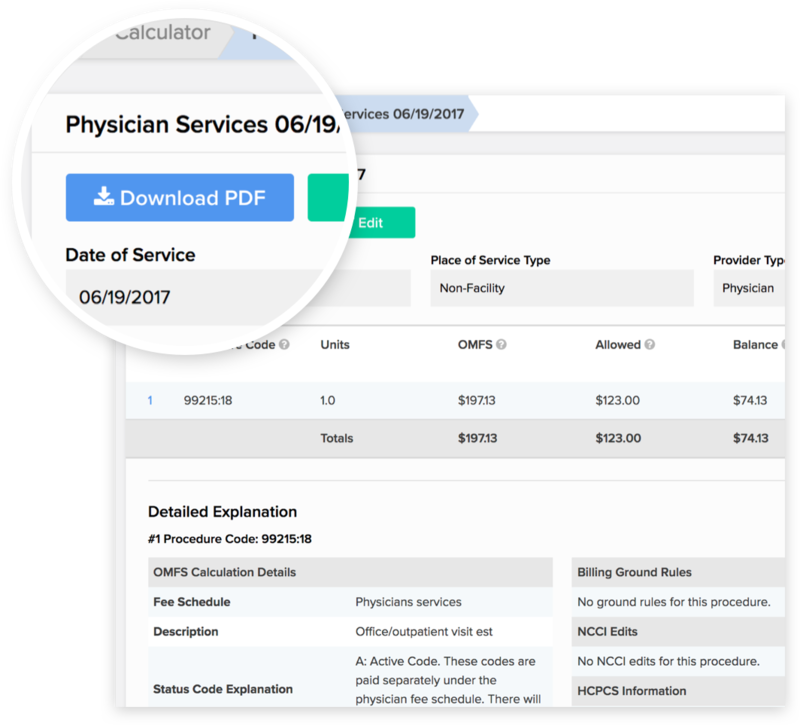 Provides instant fee schedule reimbursements for California workers' comp. No spreadsheets. No math. No sweat. Determine accurate reimbursement in seconds. The DaisyBill Calculator keeps up with California's constantly-changing fee schedules, with cascading and Billing Ground Rules, links to relevant fee regulations, and much more. Historical reimbursement for splints and casting supplies for dates of service prior to April 2014. The Calculator has your back, with an incredibly, insanely, detailed explanation for each element of every calculation. We call this an EOFS, Explanation of Fee Schedule. Download an EOFS in friendly PDF format to share your payment calculations. We've got you covered for both current and past dates of service. As soon as the DWC changes a fee schedule -- which happens constantly -- we update the calculator in a flash and even show you details, such as the reasons for the changes.